In the far off future, namely the Second Ice Age, humans have been wiped out and evolution saw it fit for only the insects and monkeys to survive. 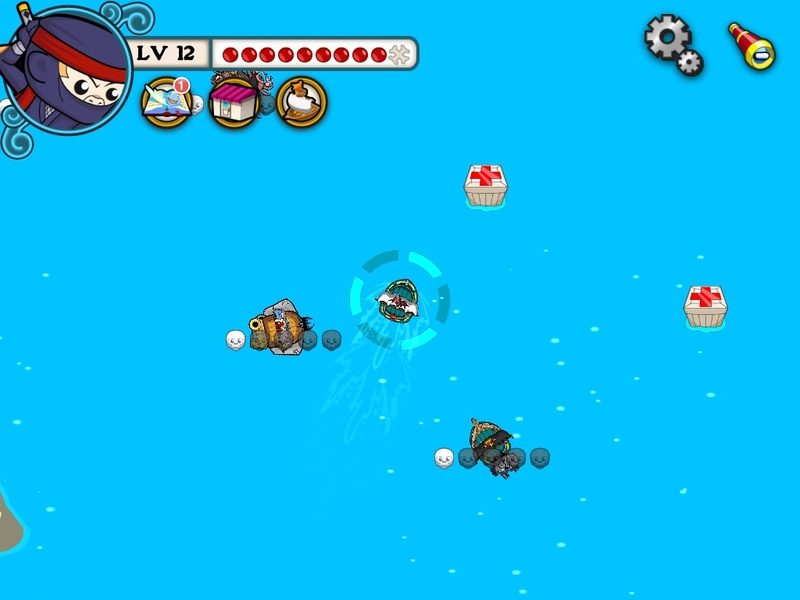 In Powder Monkeys, bugs and chimps fight for supremacy on the open seas. You play the captain of the Monke Navy but when it comes to your avatar, you have a couple of characters and silly names to choose from (apart from your own). 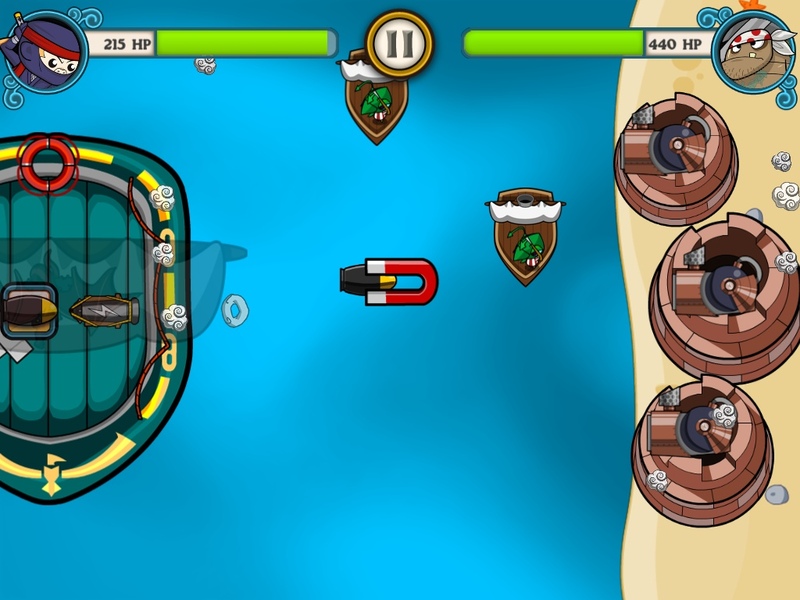 Powder monkeys is apparently a term for crew in charge of carrying bags of gunpowder during sea battles, and I guess the game is a literal take on that! The tutorial is on the vague side, but you can aimlessly explore, engage in battle and collect loot if you don’t feel like going on quests. As far as RPGs go, Powder Monkeys offers a pretty extensive customization and leveling up process, and you feel your progress . 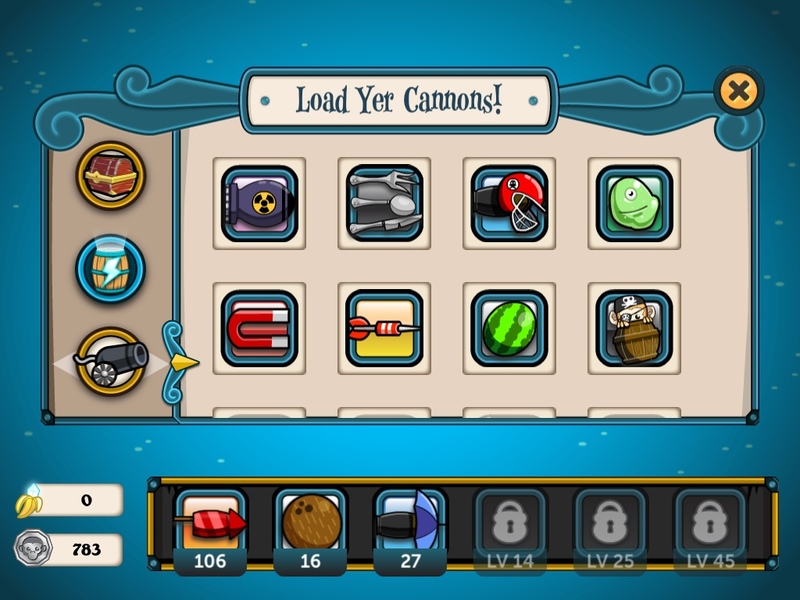 You wide array of upgradable stuff for your ship and bullets. 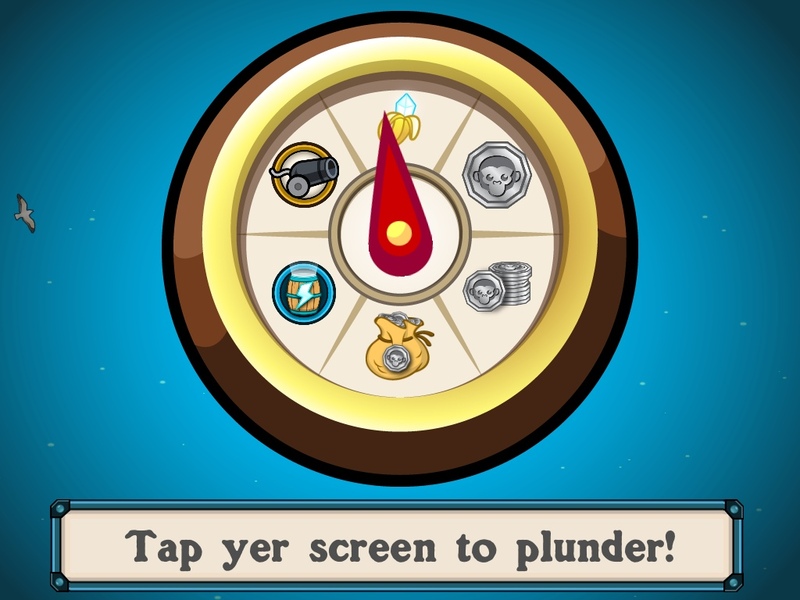 You either use silver coins or crystals as currency, the latter for more powerful weapons and power-ups. The “bullets” that you fire from your ship are cute and amusing, ranging from the default watermelons to cutlery. There’s in-app purchase to buy special power ups but you can definitely enjoy the game without shelling out if you’re patient enough. 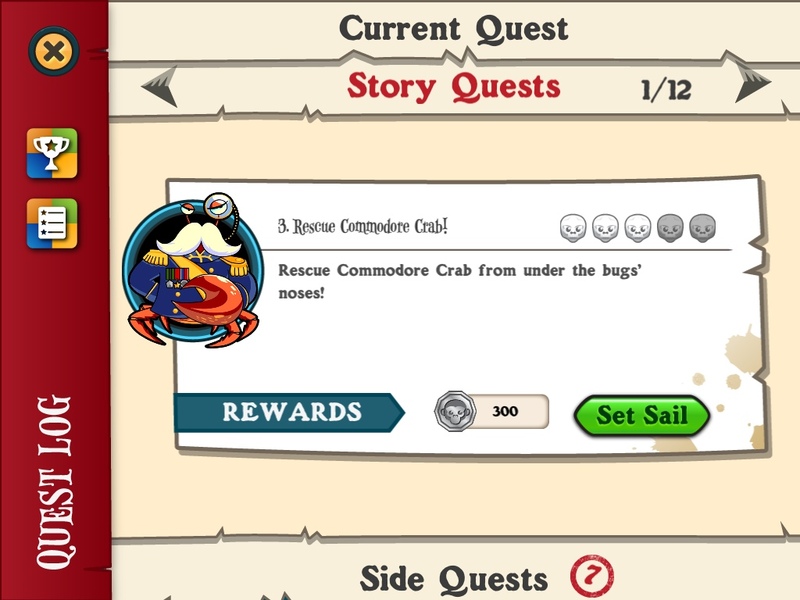 For example, you can do side quests to earn some coins but the income-generating part there, really, is in the exploration of the environment to grab treasure chests which contain goodies. Luck is the name of the game here, and if you’re lucky, you might hit on massive loot. 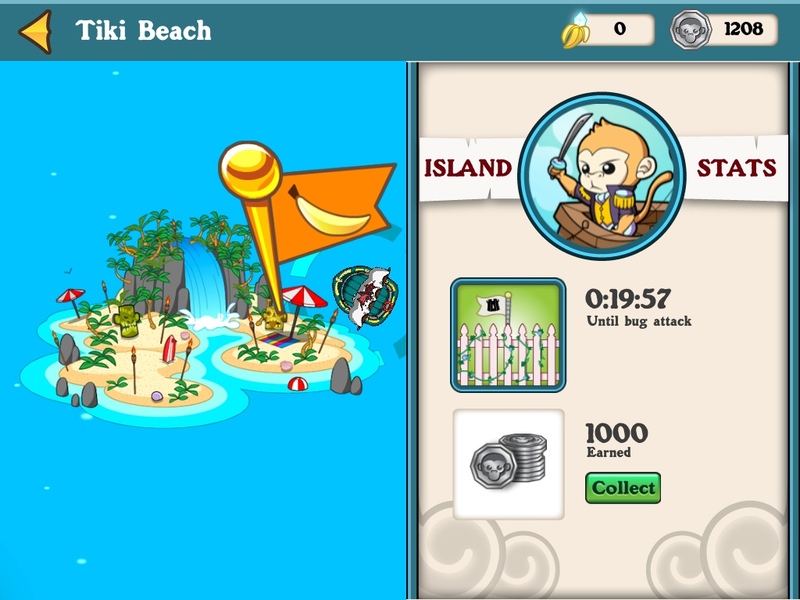 In addition, you can attack bug-infested islands to capture them and earn some money. Earn much needed cash by putting up time-locked defenses that help you eventually collect money. 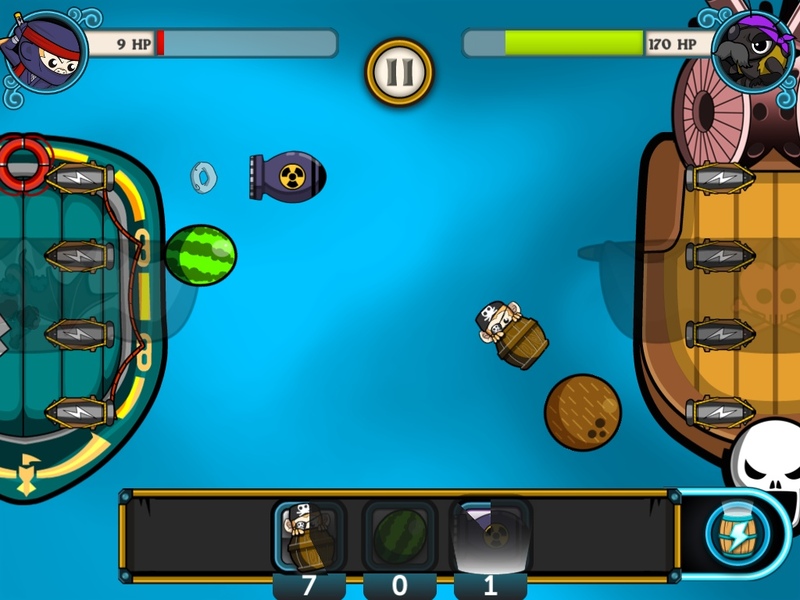 Battles can be played on autopilot and the outcome depends on how beefed up your ship and weaponry are. However, the real fun is in direct engagement, where you race to fill up your slots taking care to strategically place them to maximize/minimize damage. At the end of the battle you earn some coins which you can use to upgrade your stuff. The story-based quests hardly differ from the side quests since there is no real story to speak of other than the general concept of fighting and plundering your way to the top. This is my chief complaint about the game which is mostly about doing the same thing over and over (grinding, that is) to level up and earn more money. The lack of a story is not a deal breaker but with no defined goals to accomplish, there’s not much to look forward to after completing the story quests. 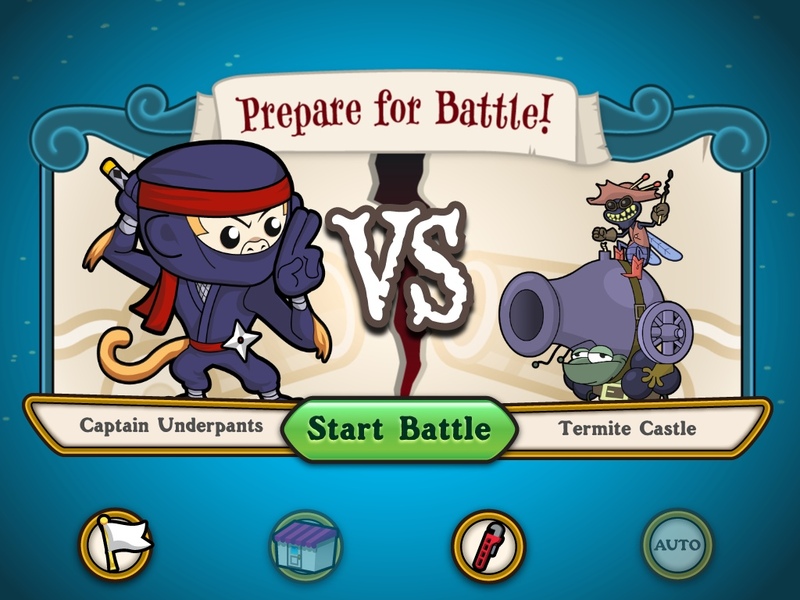 The graphics are cute and cartoony, matched by the equally cute and cheerful music and effects. The dialogue is a bit on the corny side but a game attempt to make trash talk between chimps and bugs interesting. 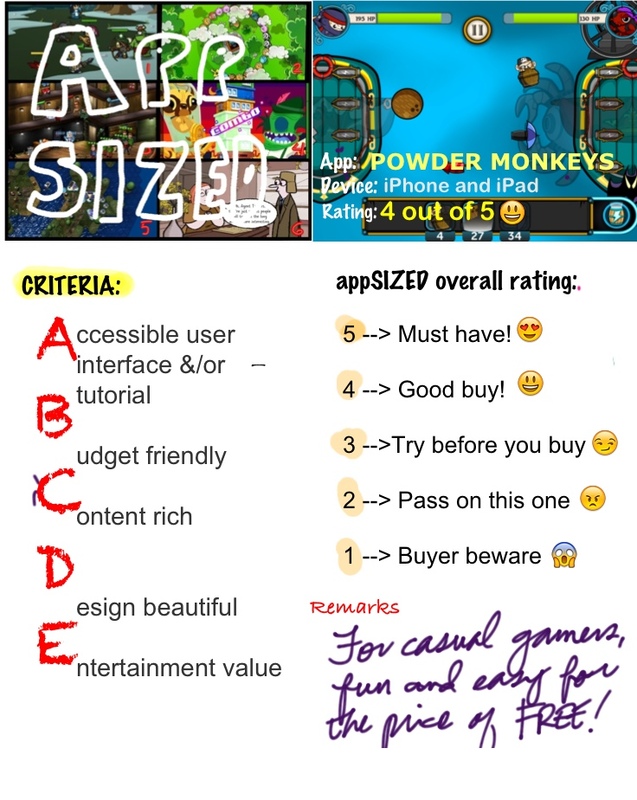 All in all, Powder Monkeys is a lot of fun to play and jump into if you’re looking for a quick fix. It’s an RPG adventure casual enough for the newbie player, has loads of personality and plenty to keep you hooked.